Trivandrum: Thiruvananthapuram Central (TVC) has become the fourth railway station in Kerala to offer free high speed Wi-Fi service. The facility was inaugurated by Dr. Shashi Tharoor MP at a function held on October 28, 2016. Ernakulam South (ERS), Thrissur (TCR) and Kozhikode (CLT) are the other railway stations in the State to offer free high speed Wi-Fi service to passengers. 35 access points (hotspots) have been set up at various locations in the station premises and each point can cover 50 metres. One hotspot can cater to 70 customers at a time. 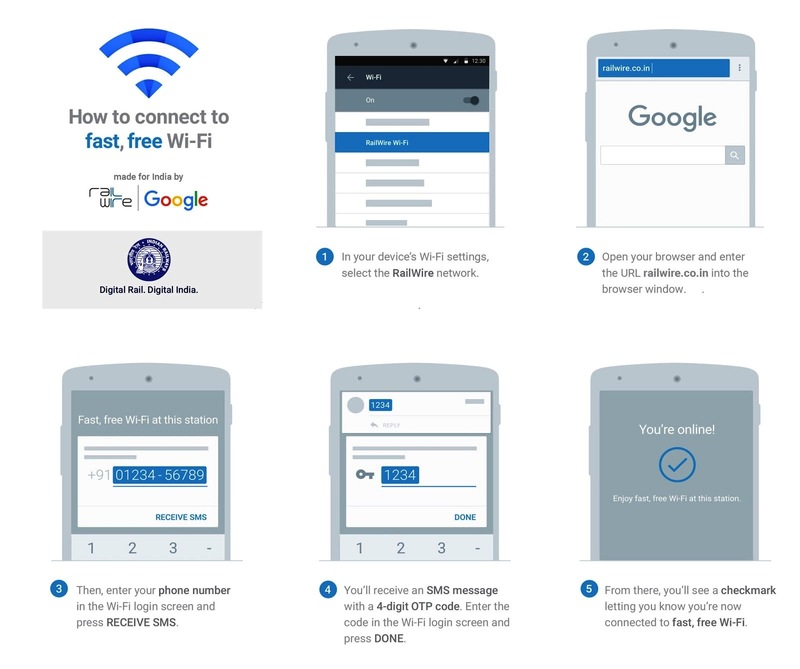 All five platforms, booking offices and passenger reservation centres are covered by the high speed Wi-Fi service which is made available by RailTel Corporation of India, the in-house telecom wing and service provider of Railways in association with Google, the technology partner to manage the server and hotspots. The total capacity of the network installed at the station is 1 Gbps. The download speed will depend upon the number of users and the devices used. Initially, it will be 3 Mbps for the first hour and, after that it will come down to 1 Mbps. The users will be directed to a login page and will receive a one-time password to access the Internet through the Wi-Fi. RailTel has commissioned the free Wi-Fi services at 71 stations in the country. 21 more stations will join the list soon. Kollam station will get the service next month. Prakash Bhutani, Divisional Railway Manager, Trivandrum; K S Jain, Additional Divisional GM; Sandeep Kumar, GM, RailTel and Anoop Jose, Deputy GM; were among those present at the launch.